Egypt occupies the North-Eastern part of Africa and encroaches on Asia in the Sinai Peninsula, covers an area of 1,001,400 square Kilometers, with a population of 90 million living mainly on the Nile river's banks. 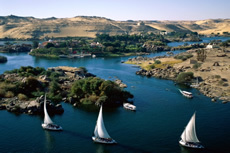 The very existence of the country depends on the slender ribbon of the Nile (the world's longest river). 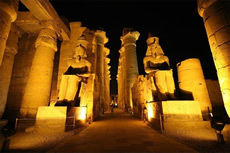 Egypt named by the Pharaohs, the oldest civilization in the world. 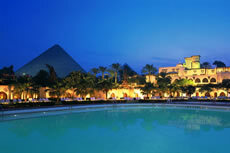 How could you miss one third of the world's treasures which Luxor has? 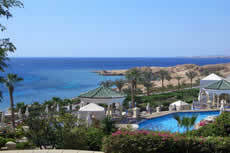 There is so much to do and see all over Egypt - this lovely warm land with its charming and hospitable people. Your one and only problem is likely to be time - you may never want to leave. Currency: The Egyptian Pound (LE or EGL) is divided into 100 piasters.It is allowed to import and export any amount in foreign currency. Weights & Measures: Metric system. Customs: Personal effects are admitted duty free. 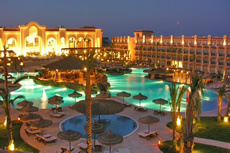 Cairo International Airport: 14 miles from the city centre. Banks: from 8:00a.m to 2:00p.m, Sunday though Thursday and closed on Fridays and Saturdays. Government Offices: from 09:00a.m to 02:00p.m, closed Fridays. Commercial Offices: from 08:30a.m to 05:00p.m, closed on Fridays and Sundays. Shops: Generally open from 09:00a.m to 09:00p.m and closed on Sundays. Climate: Mild, with temperatures increasing as you travel from north to south. 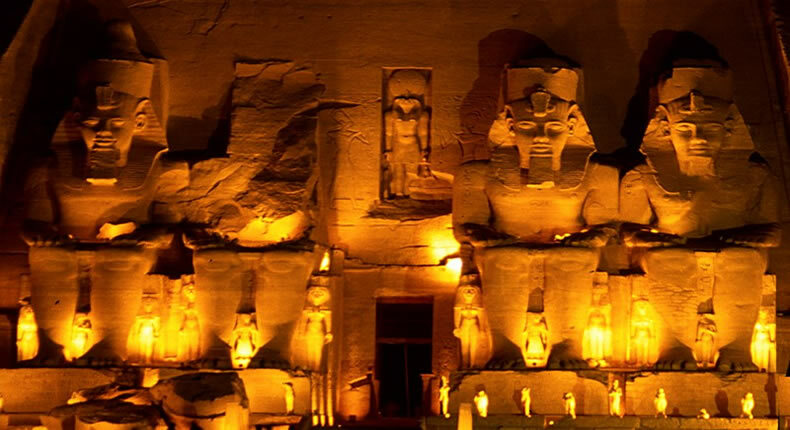 Cairo can be chilly from December to February, and very hot from June to September, though the traveler is often relieved by a northerly breeze with temperatures dropping during the night. Peak temperatures in Upper Egypt from May to October are usually compensated for by extremely low humidity. Clothing:In summer, light cotton garments and in winter woolens. In the winter, a sweater and an overcoat may be needed in the evening. In all seasons light walking shoes and a hat are essential and avoid very brief clothing as the norm is semi conservative attire. Handy Items Include: Sun-glasses, sun oil, a pocket torch and binoculars. Electric Current: 220 volts, 50cycles. Sockets take the standard continental Europe round-prond plug. American appliances will need adapter plug and transformers. 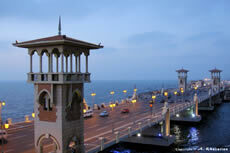 Language: Arabic is the language spoken in Egypt. The most common foreign languages spoken by Egyptians are English with French a close second, perhaps also German and Italian. Shopping: Egypt offers many "best buys", such as silver, leather, gold, mother-of-pearl, brass, copper and alabaster .In winter, most shops are open twice daily.